What's In Your Metro 2® File? The Metro 2® File Viewer software is designed for Users that need to search and read the contents of any Metro 2®, 426 formatted file in a human readable format. 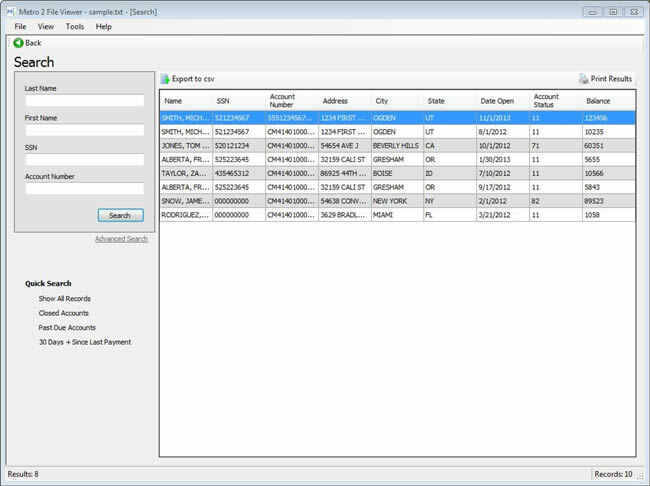 Metro 2® File Viewer offers easy to use search options. 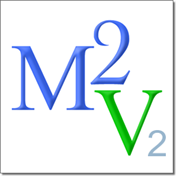 Locate data in your Metro 2® file by searching fields within the base or appended segments. 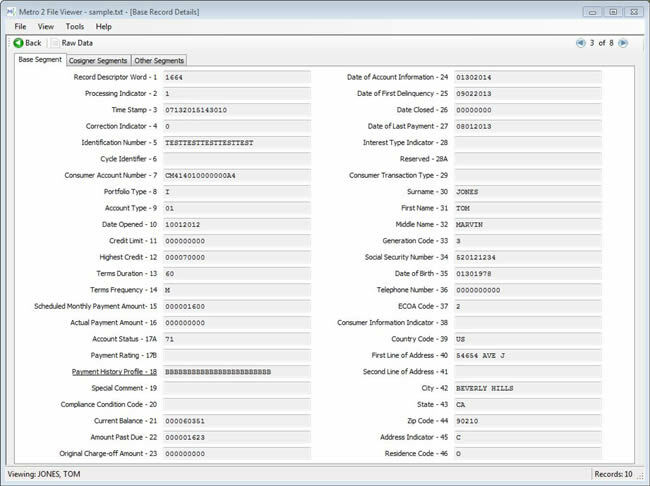 For Example, the viewer allows you to search by name, social security number, account number etc. Search Results can be displayed in human readable format or raw data format. Access to Graph and Report features provides statistics about your Metro 2® file. NOTE: .NET Framework may be automatically downloaded on Windows Vista or newer.